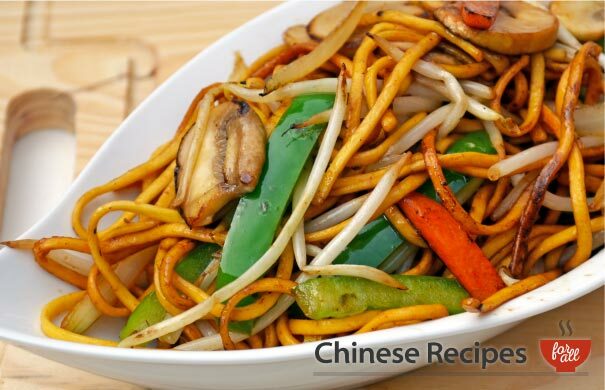 A sweet crunchy dish with onions, carrots, peppers, peas and mushrooms. Extra vegetables can be added if you wish. 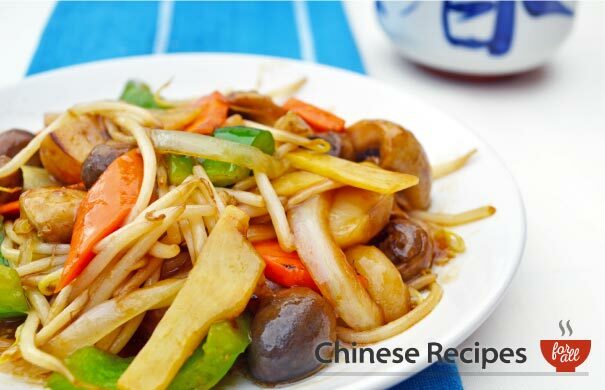 Cook this recipe for the family, we’re sure that your kids and all will love it. Prepare rice. see our recipe for boiled rice. Leave rice to cool as it is easier to manage when cooled. 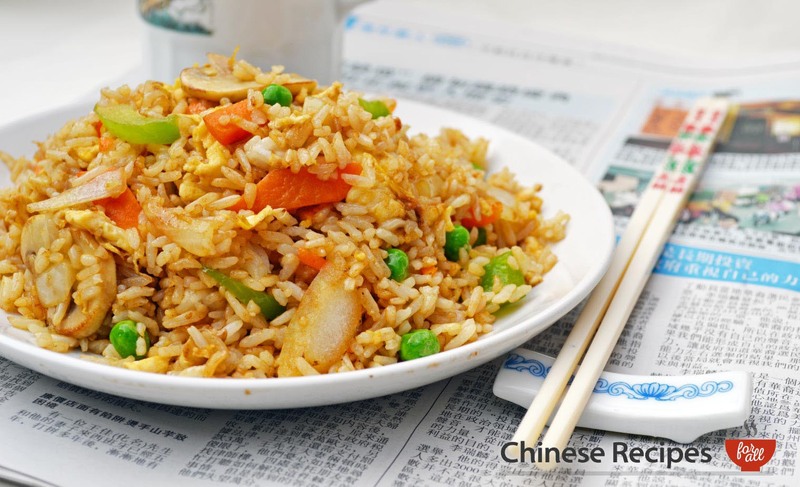 When ready to stir fry, fluff up the cold rice with a fork before frying. Add the onion, carrots and green pepper and fry for a minute. Then add in the mushrooms and peas. Fry for another 2-3 minutes. Once done, place the vegetables in a dish and put to one side. Next, pour beaten egg into wok, stirring constantly. 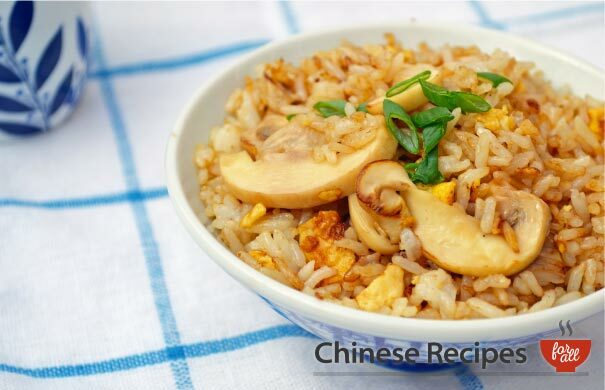 When egg has cooked a little into a scramble (about a minute or two) add in the boiled rice and fry for three minutes. Now add the vegetables back into the wok and incorporate into the rice. Finally add salt, soya sauce and sesame oil and fry for another two minutes. Serve.